"Quite simply the highest quality musical instrument cables on the planet!" When RICHIE KOTZEN plays, you know it's him. The guitar virtuoso, singer and songwriter possesses an inimitable style that's both instantly recognizable and immediately striking. 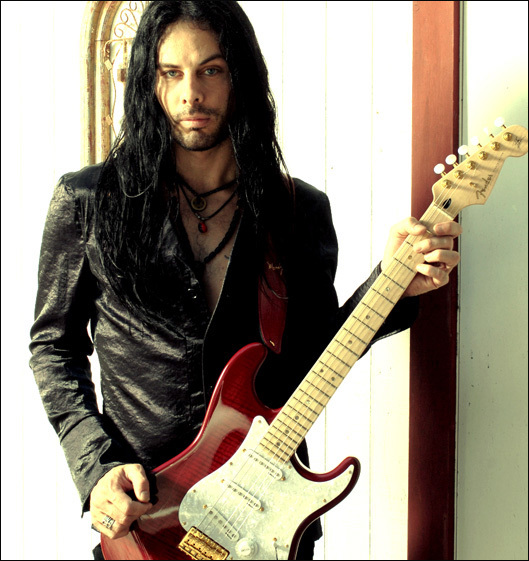 After releasing the retrospective THE ESSENTIAL RICHIE KOTZEN on Loud & Proud Records in 2014, KOTZEN returned to the studio for his 20th solo album in 2015, CANNIBALS. It was digitally released January 8 via his Headroom-Inc label and quickly reached #1 on Amazon's New Rock Releases chart. "I'm thrilled with the reception I've received so far on this record, and am very much looking forward to performing this material live." "CANNIBALS is an interesting record for me," he explains, "because much of this material is comprised from recordings that are as old as 10 years. The title track is the most recent song I've written. That was from 2014, but 'Come On Free,' for example, was originally recorded back in the early 2000's. I always liked the track, but never knew how to fit it into one of my records. Somehow I thought now was the time, so I went back to the original recording and did a remix. The only new overdub is the chant at the end, which happened recently one night when I was playing the song for my friends. I had a bunch of friends in the studio from Brazil and they all started chanting. I was like, 'ALL THAT!' and put up the microphone and we recorded it with no headphones. Everyone was having a great time. It was so spontaneous. The track 'Time For The Payment' is also an older recording from 2008. I would have included that on my album, PEACE SIGN, back then, but it didn't seem to make sense at the time. That recording is unchanged. I just had it mastered and I think it is a great closer for the record. I suppose my proudest moment on CANNIBALS is the song I wrote with my daughter, August, called 'You.' I originally released this as a single/video at the end of 2014. It was born from a piano idea she had written when she was 13 or 14 years old. I found the original recording of her piano performance on my computer and wrote lyrics to it last summer. Probably one of my favorite things I've ever recorded. I also did a duet with someone who I've always been a fan of, Dug Pinnik from Kings X. I was at a house party and Dug was there, and we were talking about how we should do something together one day. When I went back to the studio I was working on the song 'I'm All In' and then it hit me. I called Dug and asked him if he would trade vocals with me on the tune and we did it! He added a whole other dimension to the track. I'm glad I called him!"